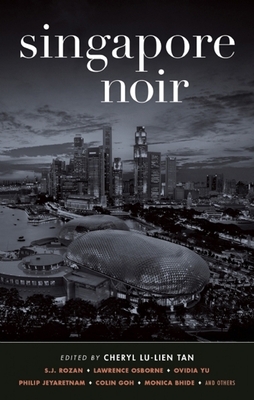 "Singapore, with its great wealth and great poverty existing amid ethnic, linguistic, and cultural tensions, offers fertile ground for bleak fiction, as shown by the 14 tales in this solid Akashic noir anthology...Tan has assembled a strong lineup of Singapore natives and knowledgeable visitors for this volume exploring the dark side of a fascinating country." "Singapore Noir is the latest in Akashic's long-running and globetrotting Noir series, giving plenty of new and unfamiliar voices a chance to shine." "Singapore Noir is another fine addition to the Akashic's Noir series. Under Cheryl Lu-Lien Tan's tutelage, the stories puncture the stereotypes associated with Singapore and push the genre in new directions." "Across the book as a whole a picture emerges of Singapore, an image at variance with tourist board literature and with the popular conception of a safe but over-controlled conformist society." Brand-new stories by: Colin Goh, Simon Tay/Donald Tee Quee Ho, Philip Jeyaretnam, Colin Cheong, Cheryl Lu-Lien Tan, Monica Bhide, S.J. Rozan, Lawrence Osborne, Suchen Christine Lim, Ovidia Yu, Damon Chua, Johann S. Lee, Dave Chua, and Nury Vittachi. "Say Singapore to anyone and you'll likely hear one of a few words: Caning. Fines. Chewing gum. As for mine, I chose a setting close to my heart--the kelongs, or old fisheries on stilts, that once dotted the waters of Singapore but are gradually disappearing. I have a deep sense of romance about these kelongs, along with the many other settings, characters, nuances, and quirks that you'll see in these stories. They're intense, inky, nebulous. There is evil, sadness, a foreboding. And liars, cheaters, the valiant abound. This is a Singapore rarely explored in Western literature--until now. No Disneyland here; but there is a death penalty."